Mom lost her battle with Alzheimer's on January 13th with family at her side. She was born in Kahaluu, moved to Maunaloa, Molokai for several years as a child, and returned to Oahu. Retired from Central Pacific Bank, she enjoyed gardening, fishing, meeting people, and playing gateball. She is survived by daughter, Joni (Ed) Gross; son, Ben (Carol); daughter-in-law, Debra; grandchildren Jennifer Mukai, Brandi (Rob) Ing, Pi`ilani; and great-grandchild, Mika. She is survived by brothers Masao Ige and Philip (Janet) Ige; sister, Sachiko (Charles) Kaneshiro; nieces; nephews; and tons of friends. 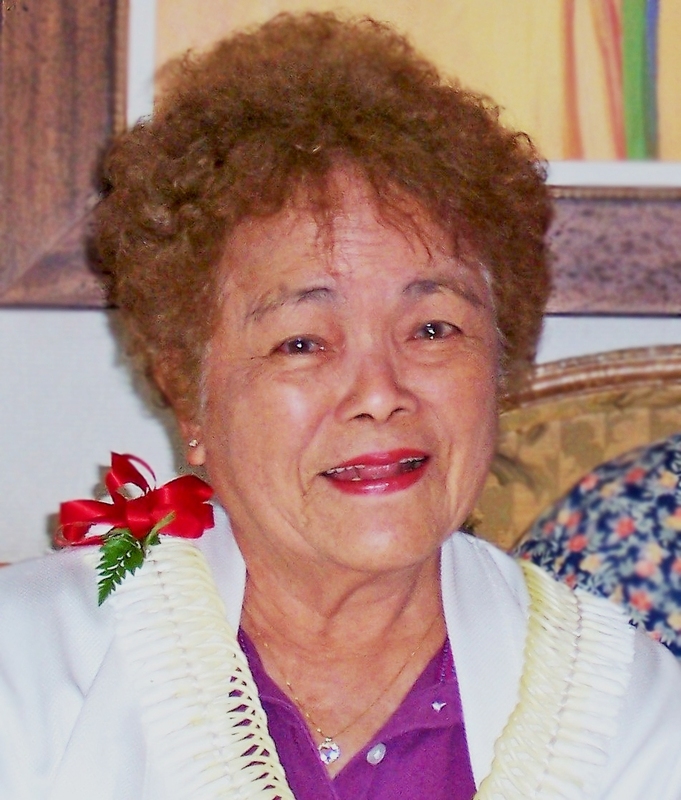 Services: Saturday, March 3, 10:30 am, Mililani Downtown Mortuary, 20 S. Kukui Street. Casual attire.